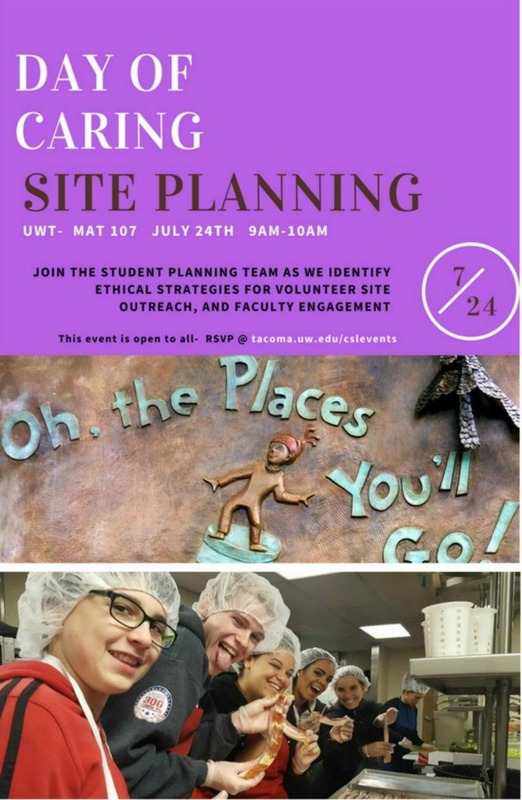 Tuesday, July 24, 2018, 9 – 10 a.m.
Come to the student planning meeting for our Day of Caring, volunteer service day at UWT. At this meeting we will strategize our outreach to nonprofits who might use the help of UWT students on Oct 13th. Faculty are encouraged to come and share their nonprofit connections, so that we may explore possible partnerships and highlight/recruit for your classes.